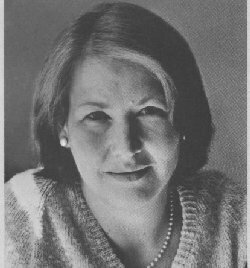 Annie Dillard (born April 30, 1945) was born Meta Annie Doak in Pittsburgh, Pennsylvania. She attended The Ellis School throughout her childhood and first began writing poetry while in high school there. She earned her B.A. and M.A. at the all-female Hollins University (then Hollins College) in Virginia where as a sophomore she married her writing professor, the poet R. H. W. Dillard. After nearly dying from pneumonia, Dillard began writing regular, lengthy diary entries, which would later form the basis of her Pilgrim at Tinker Creek. She won the Pulitzer Prize (non-fiction) in 1975 with her first book of prose, Pilgrim at Tinker Creek, which is an extended meditation on her observations of the natural world. Some have called it a work of mysticism or theology. This combination of observations on nature and philosophical explorations is also present in several of her other books, including For the Time Being and Holy the Firm. Do you have any comments, criticism, paraphrasis or analysis of this poem that you feel would assist other visitors in understanding the meaning or the theme of this poem by Annie Dillard better? If accepted, your analysis will be added to this page of American Poems. Together we can build a wealth of information, but it will take some discipline and determination.